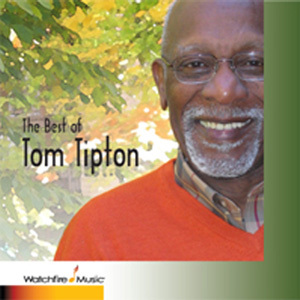 Watchfire Music Artist Tom Tipton sings "I Believe"
This past weekend, Tom Tipton performed on “The Hour of Power” during this especially poignant time of Rev. Robert Schuller’s passing. To view his moving performance of “Were You There” on Sunday, click here, and start the video at 4:12. Faith and family have always been a source of Tom Tipton’s strength and loving nature. His unique style of Gospel music is a blend of hymns, jazz and R&B acquired over sixty years of musical expression. Lovely, rich, soulful vocalist. Great interpretation of this song. I loved Tom’s singing voice for I Believe! WOW–what a voice! It sounds like like he’s quite the accomplished pianist too! I’m retired now and LOVE playing the piano at retirement homes for the folks and I’m also a full-time church organist as well. Thank you SO MUCH for sharing such a beautiful song of I Believe, with Tom singing it today!